It was the night fighting game fans the world over have been waiting for; their first chance to get their hands on Capcom’s next big fighting game. Or, it was supposed to be, since nobody actually got to play it. An hour and a half after the beta was scheduled to launch, amid numerous reports of connection issues, Capcom informed players the Street Fighter V servers would be offline until further notice. Throughout the night, Capcom sporadically issued updates on twitter and via a now-locked thread on their forums. 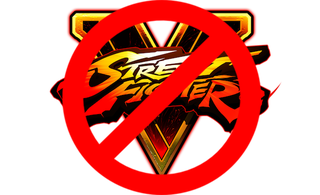 Though Capcom acknowledged the issues they were experiencing, they were unable to offer an ETA for when the Street Fighter V beta would eventually come online. Some players were able to connect to the game’s training mode, but as of this writing I was unable to find any evidence of an actual player-versus-player match successfully taking place. At this point, we’re stuck in a waiting game. Capcom has taken the beta down for routine maintenance schedule every night between 11:00 PM and 1:00 AM Pacific, but that doesn’t mean much when the game was never truly up to begin with. It’s a major letdown for fans the world over who were waiting to play, but if there was ever an appropriate time for this to happen, it’s when a game is in the testing stage; let’s just hope this doesn’t happen at launch.